As the name suggests, the line is designed to appeal to younger players. Ahead of NAMM 2019 in Anaheim California, Gibson has revealed the Generation line – a brand-new range of US-made acoustic guitars aimed at a new generation of guitar players. The first offering from the Generation range are the G-45 Studio and G-45 Standard, which keep the classic round-shouldered profile of classic Gibson acoustic guitars such as the J-45, but are designed to appeal to younger guitar players. 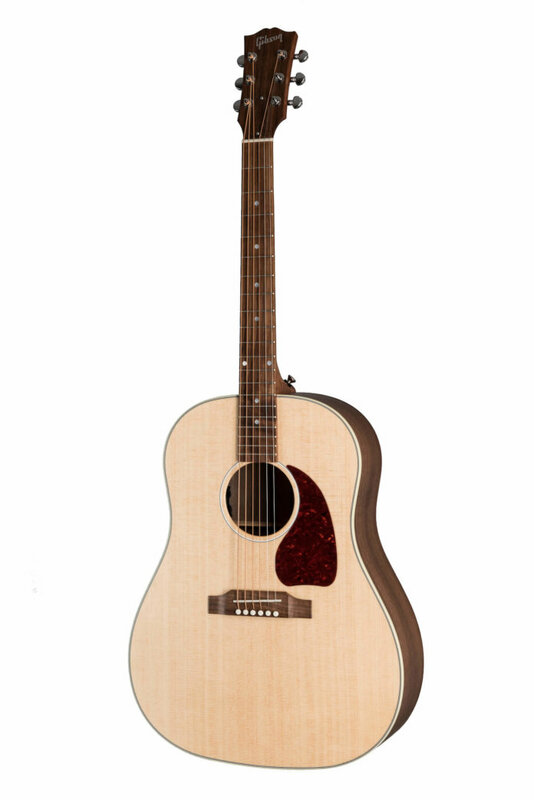 Both models feature solid Sitka spruce tops and walnut back and sides (in contrast to the regular J-45’s rosewood) and are made in the same workshop and by the same hands as Gibson’s regular production models. We are very excited about the new Gibson Generation line offering the Gibson craftmanship at an accessible premium price point,” says Cesar Gueikian, Gibson’s Chief Merchant Officer. The premium price point in this case is $999 for the Studio model and $1,299 Standard. The Generation line follows on from Gibson’s other big launch at NAMM 2019, the new 50s and 60s Spec Les Pauls and other classic-vibed instruments.